"No Wagering and No Maximum Win!" Playojo casino is one of the newest casinos at Casinomeister – they are the sister casino of Drueckglueck casino, Slots Magic, and Lucky Niki. They are all part of the EGO casino group licensed in Malta. 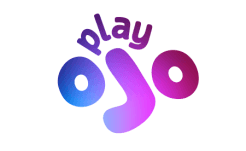 Playojo has a unique concept where there are no bonuses involved. 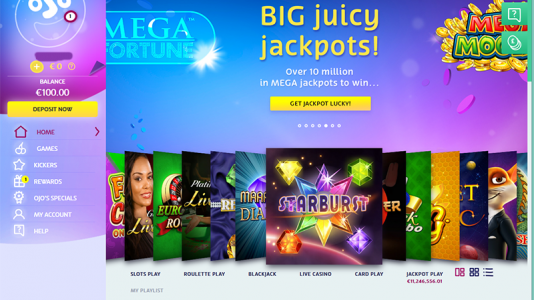 You are awarded points and free spins depending on your playing activity. Of course the more you play, the more rewards you are going to get. There are no wagering requirements. For every bet that you make, you are awarded cash back funds that you can use. All Free spin offers are wager Free and you can use these winnings to continue playing or cash them out. You don’t need to decipher convoluted bonus terms. You can just play. 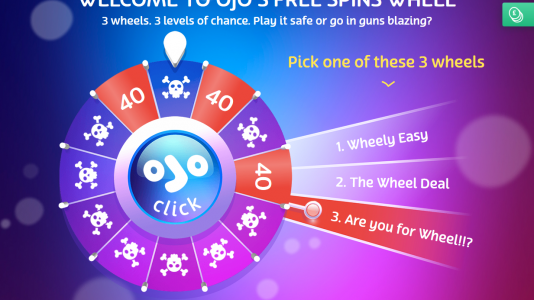 They also have a playojo wheel which unlocks once you’ve gambled a bit. It comes in three flavors: wheely easy, the wheel deal, and are you for wheel. They have over 2,000 games powered but a slew of software providers to include Netent, Microgaming, WMS, Nextgen, Evolution, Play n’GO, Scientific, Bally, Mercur, Blueprint, Big Time, Gaming, just to name a few. Cashouts are within 12 hours or so with webwallets. Caveat – there are deposit fees – please check the type of deposits and the fees that you might incur – 3.5 percent for Neteller – 5% for Skrill – 0% for Giropay or Sofort. – some players think this is unfair, but honestly – they are passing on the processing expense to you the customer. Most casinos cover this cost in other ways, but it’s still being passed on to you – you just don’t realize it. So it’s a pretty good casino – so far, they have been getting great reviews from our members. Their forum representative is one of the players’ favorite! I decided to bring this casino on via the Baptism by fire mainly because they are connected to Slots Magic and DrueckGlueck casino. I have known the operator for quite a few years, and they have had not very many problems at all. Signing up was rather easy. I was able to set up an account within minutes – not a problem. 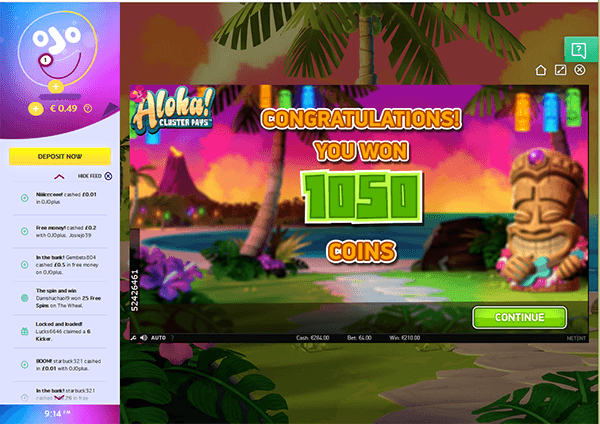 Made a Euro 100 deposit via Neteller, and withing five minutes won about Euro 300 on Aloha Slots (screenshot attached). Withdrew 200 Euro – and paid out in about 10 hours. Not too shabby. They have a unique concept of no bonuses, but the more you play the more points you can rack up which can be loaded into your account for you to cash out. 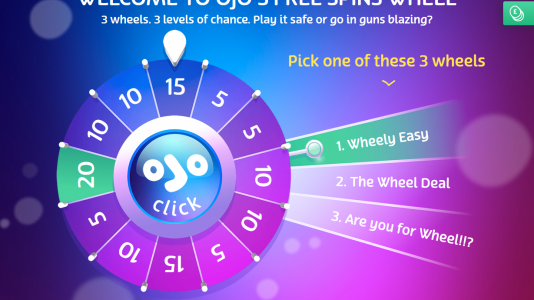 You can also participate in their Free Spins Wheel – which is pretty cool. The only negative aspect – apparently negative – is that for most deposits (sans bank wires) you pay a small percentage as a fee. This is just a cost being passed on to the customer. All casinos need to cover this cost – so you are just seeing this upfront. Other casinos cover this cost in other ways. They made it through the Baptism by Fire with flying colors. Really no issues at all. So far, all is going smoothly and players seems to be satisfied. And just to add – Playojo was awarded Best New Casino 2017 at Casinomeister – so that says a lot right there. The online casino industry can learn a lot from social gaming. In a social casino, for example, because no actual gambling takes place in the truest, real-money sense of the word, games are monetized purely through player engagement and entertainment alone. That means developers must work harder to keep players happy and incentivized, constantly evolving and innovating, developing compelling new games and rewards frequently, while building meta games within the base games that offer even more prizes and rewards. If they don’t constantly adapt their offerings, players will quickly become board and they will be overtaken by more innovative competitors. A platform can go from social gaming superpower to social pariah within weeks. Online casinos, on the other hand, have had it too easy. They lack the intense pressure to innovate and so most of them don’t. 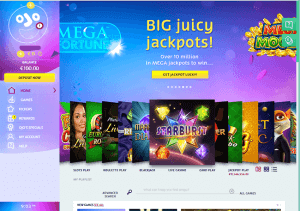 It’s true that some of the better online casinos have adopted social mechanisms into their platforms, breathing new life into the online casino model, but PlayOJO takes it to the next level. Leveling up, after all, is what it’s all about. 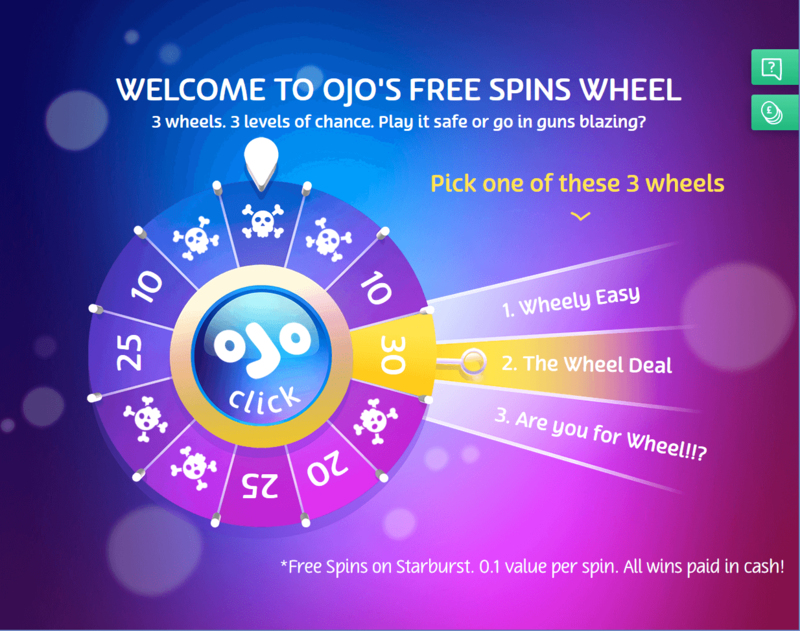 PlayOJO, which launched earlier this year, is a brand new model in online casino and is looking to shake things up and wake the industry from its creative stupor. Take its “Play Moments,” social tool, for example, which is similar to the timeline feature on Facebook. It celebrates player milestones — your biggest win on Starburst, for example. 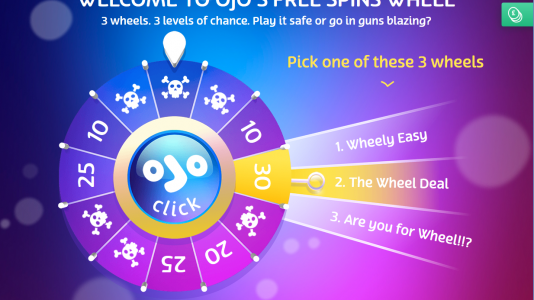 Meanwhile, ClubOJO means players start receiving rewards from the very first bet and can have fun watching themselves level-up and rise through the ranks while earning rewards and free spins on the OJO wheel along the way. 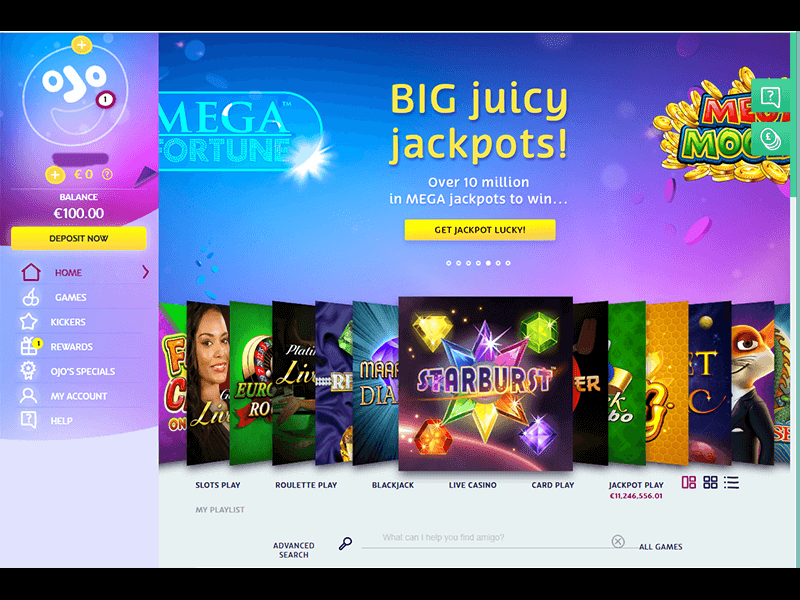 But remember this is not a social casino, it is a real-money online casino, albeit a particularly unique and brilliant one, which means that free spins win you real money, which is free to withdraw immediately, to spend on whatever you want. 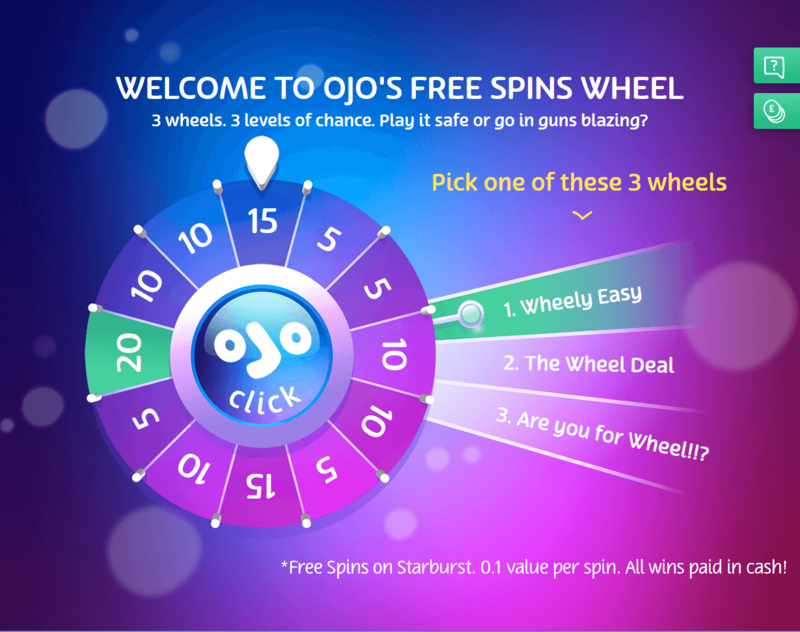 When most casinos offer “free spins,” anything you win must be spent in the casino, fed back into the machine, if you will, but PlayOJO puts the player completely in the driving seat. Which brings us to another very important point. While PlayOJO attracts and retains its customers through genuine incentives, generous rewards and a compelling offering, others lure customers with illusory bonuses that are too good to be true, and then entrap them, locking them arduous wagering requirements hidden in the small print. But with PlayOJO, there are no wagering requirements on anything ever; no catches, just real play and money back on every bet, win or lose. 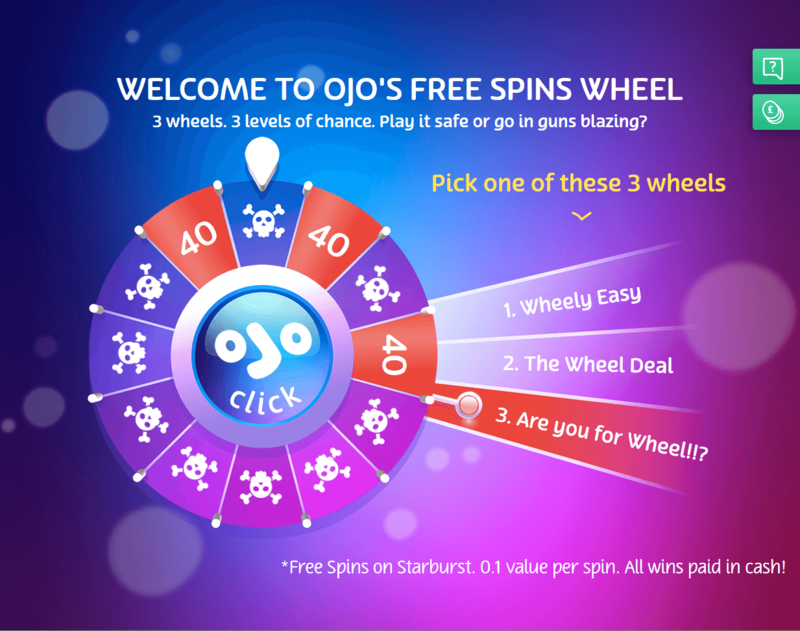 PlayOJO is confident that it has created the online casino of the future and that the industry, which has alienated players through its bogus bonuses and shifty small print, will be forced tor follow its lead. We certainly hope so! The Meister Minions are our volunteers who gather information about all of the casinos listed at Casinomeister – whether it be an Accredited casino, in the Grey Zone, or Rogue. They are Casinomeister’s secret shoppers. If you would like to become a Meister Minion, there is more information here: What are Meister Minions? Playojo Casino Terms and conditions Apply. Really a great casino. I like its presentation – and the concept of “no bonus” is refreshing – especially for us who don’t play bonuses. They have a very active rep in the forum, and they are coming up with regular promotions for our members as well. They have a high score – mainly for their fast payouts, no reverse time, and no BS withdrawal limits. A big thumbs up from me. Highly recommended. Casinomeister’s Best New Casino 2017! Congrats Playojo!